Now it’s different, people don’t just want to hear about your work, they need to see examples. Especially in industries that have only just begun to take off recently such as: App designing, content managing, online community management, blogging and so on. 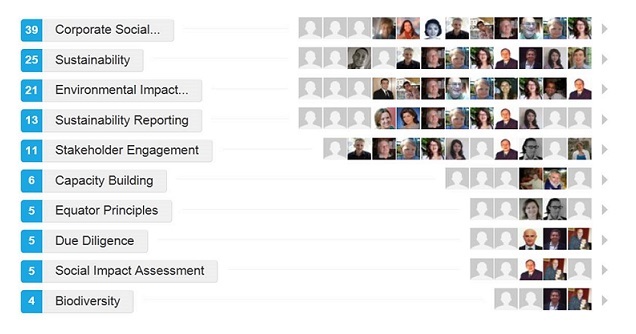 The beauty of LinkedIn is that you can quite literally ‘show’ the world what you do while improving your searchability. Even if you do send an employer a copy of your resume, chances are, they’ll still Google you! This is where LinkedIn comes in. With it, you’re able to show exactly how you’re contributing to your industry. This is often overlooked because people tend to just use their job title as a headline. But, what if you’re doing additional work outside of those hours? Like blogging, website design or social media management? Mention it! If you’re contributing to your industry, beyond the realm of your business, that is definitely worth telling. 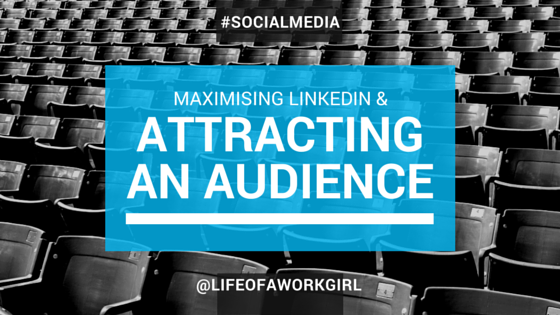 You have two opportunities to use imagery to your advantage on LinkedIn. The first is your profile picture and the second is your header. Use them wisely! There’s nothing wrong with using creative & quirky photos but try and ensure that they are taken by a professional. It will be of much better quality & enable people to see that you take pride in your personal brand. Consider the ‘summary section’ an opportunity to introduce yourself. It’s a chance to tell people your story, what your passionate about and how you’ve progressed within the industry. Expand on this in each of your previous positions by saying what you achieved and the role you played in making the company a better place. Here’s a nifty little feature that can actually improve you SEO. Make sure that you add your name to the customised URL so that the world can find you! Within the contact details section – you have the option to add links to your website and/or social media accounts such as Twitter. Make sure that this is kept up to date so that people know where to find your work. Post valuable articles and insights daily to show that you’re actively contributing to your online community. Remember to use key words and phrases to increase your searchability and speak directly to your audience to encourage them to engage with the posts. The beauty of LinkedIn is that you can add examples of your work to your profile, making it much more interactive and dynamic. 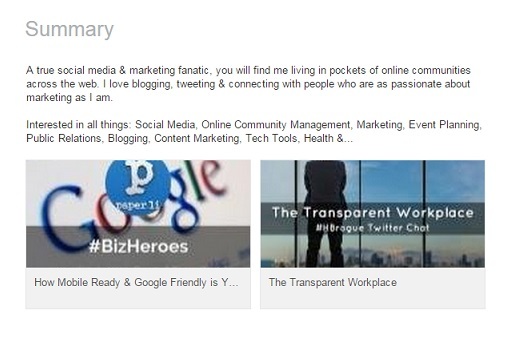 Add SlideShare presentations, professional content from YouTube & post blogs on the Pulse network. This all contributes to your online footprint which is vital to industries such as blogging and social media management. This point may get a bit repetitive but… what you’re doing outside of your job description really does count. There will be plenty of people with similar job titles working at a diverse range of companies, but not everyone is working on bringing their personal brand to life. In order to stand out you have to be willing to do what other’s won’t. Don’t just be an observer, be a participant in the group discussions. You never know who you may end up speaking to. Have you noticed that someone’s been going above and beyond? Really enjoyed reading their Pulse articles? Why not let them know that you appreciate their work by endorsing them. This is the act of giving without expecting anything in return – don’t use endorsements as a form of leverage by expecting them in return. Give freely & genuinely. Also, please remember to endorse people when you have actually seen proof of their work. What About Your Profile? Where Can You Make Improvements? I hope that this has been helpful, if you think that there’s anything else that can be done to create a stellar LinkedIn profile, please feel free to add your suggestions to the comments section below.